From the start, his career was firmly rooted in the law. Glass earned his law degree from the University of Miami and then traveled to England. While there, he earned a Master of Laws from the University of Manchester. After several years in England, Glass returned to the United States and landed a job with a New York law firm. But as he learned more about the insurance industry through his work in private practice, he started to think about a different career. Having degrees in both law and finance, he saw an opportunity to combine his interests with one career and took a job as a claims analyst for a large insurance carrier. Then in 2017, he joined Argo in his current role. Right brain or left brain? Why not both? During his time in Manchester, Glass worked in a poverty law clinic doing work for community residents. 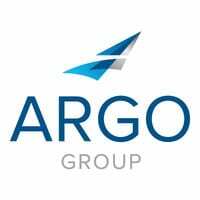 Today, he sees the work he and his Argo Pro colleagues do each day making a similar difference in people’s lives. When talking with college students or early-career professionals, Glass encourages them to have an open mind and to focus on what they are good at and what they want to do – not on what they want to be. Glass was born and raised in New York. And thanks to the influence of his older brothers – and a boyhood dog named Mookie, named after 1986 World Series hero Mookie Wilson – it’s no surprise he’s a Mets fan. Outside of work, Glass likes spending time on the water, where he’s sailed the Atlantic from Maine to the Caribbean. You might also find him behind the lens of his camera, taking after his professional-photographer mother and grandfather.